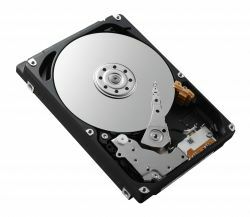 Toshiba’s 2.5-inch L200 Laptop PC Hard Drive is designed for everyday laptop users and gamers – and it’s ideal for boosting and upgrading the storage capacity of your laptop PC or games console by up to 2 TB – with up to 128 MB buffer. Toshiba’s Dynamic Cache Technology can further enhance access performance. Available in capacities of up to 2 TB, the L200 puts the renowned durability and reliability of Toshiba technology to work in your notebook or game console.